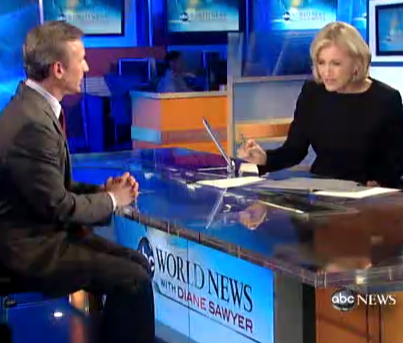 Dan appeared on ABC’s World News last night following the verdict announcement in the trial of John Edwards. He was found not guilty on one count, and the judge declared a mistrial on the five other counts as the jury deadlocked. 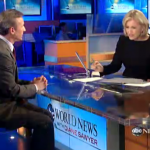 Speaking with Diane Sawyer, Dan discusses what’s next. “So, what do you think? Is it unlikely that we try this? Is it over for him?” asks Diane. Dan explains that he believes it is unlikely that a retrial will occur. The case was tough and complicated, says Dan, and some even think it should not have been even brought to court. Further, the case was expensive. “Now, that they would spend that time, money, and effort to retry him after an acquittal on one account and a hung jury on five? I think very unlikely,” believes Dan. Edwards took a risk with this trial, which Dan and Diane discuss. He was offered misdemeanors and a small amount of jail time, but he chose to take the case to trial, where he faced up to thirty years in prison. “It seems it paid off – it’s still possible they could retry him, but as of right now it looks very good for him,” says Dan of the chance Edwards took. What will happen is still unknown. See the full video here.